My daughter’s soccer game is at 6:00 p.m. on Monday nights. 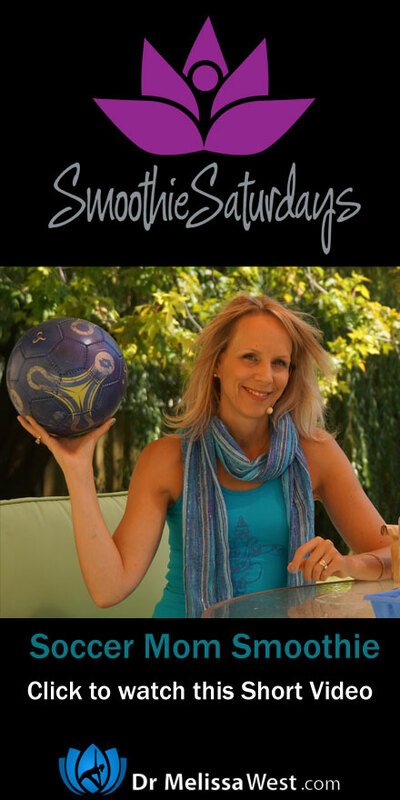 As you can imagine it is tough to get everybody including myself fed and to the soccer pitch on time and so I often end up packing myself a smoothie as a meal replacement on Monday evenings. Surprisingly this has become quite a conversation starter, “What are you drinking?” Each week the other soccer Moms beg me for the recipe and tips on making their own smoothies. So I promised I would make a soccer Mom smoothie for those nights when you just don’t have time to make dinner. 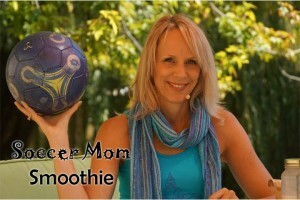 Honestly I have had several different versions of the Soccer Mom Smoothie, but this was the one that kicked it all off. I love this smoothie because it is loaded with protein, omega 3’s and a little something extra for us Moms (wink wink) with the maca!